There are many quality cloud storage companies out there, but Box has managed to distinguish itself by leaving private consumers alone and instead zeroing in on the business community. That small difference has led to a large amount of funding, but Box isn’t resting on its laurels. In order to take their business where they want it to go, Box is still looking for cash, and has been very successful in their search. Box recently announced a $125 million additional funding raise, bringing the total company valuation up to $1.33 billion. Several companies were involved in this latest fundraise, including Social+Capital Partnership, but it was General Atlantic that led the way. According to available data, this latest round of capital means Box has just about doubled in value, all during the last nine months. 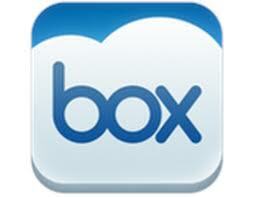 Back in the fall of 2011, Box was valued at $650 million. PrivCo, the research firm that released Box’s financial data, praised this latest move. Their CEO, Sam Hamadeh declared it proves that companies that have a strong model for revenue are still able to raise private capital at this scale, even during our economic recession. The Box board of directors will shift a bit now. Gary Reiner, one of General Atlantic’s investment partners and the former CIO of GE will join the board. And with their coffers full, Box will focus on building for the future. That means new technology, expansion into more regions of the world, and the capability to manage even larger corporate partners. According to Box CEO and co-founder Aaron Levie, the company is at the forefront of a software revolution. He envisions a time when every company in the world has balanced access to mobile technology, social media and cloud computing in order to keep pace with the direction of business.